It has been a while since the very first AMD Navi GPU leaks surfaced on the internet and it has been very quiet since. If you’re one of those AMD fans, still waiting to see what they have in store this year, it’s time to cheer up. This latest leak spotted by us promises of a graphics card capable of very high performance for a pretty reasonable price. This source reveals some interesting details about an upcoming AMD Navi graphics card which is yet to be announced. According to the anonymous source, the next GPU to be announced by AMD will be a mid range offering – performing somewhere between an RX Vega 56 and a GTX 1080. The alleged card shall be available for an asking price of $259, which is astonishing considering that even a used GTX 1080 costs much more than that. Furthermore, specifications disclosed that the GPU in question will boost over 1800 MHz and will bear a 150W TDP (thanks to 7nm process). No names were specified here but according to previous rumours, the specs coincide with the RX 3080, the RX 580 successor. This card will feature 8 GB of GDDR6 video memory and a 256-bit bus. The extra vram will probably provide AMD an advantage over the Nvidia counterparts, the RTX 2060 and the GTX 1660 Ti. 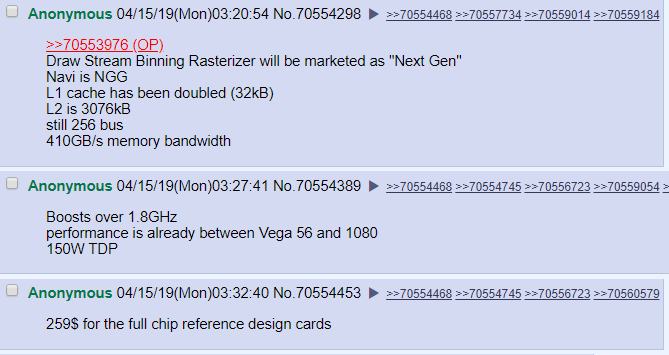 Earlier it was stated that AMD was going to do mid-range Navi GPU releases this year and save high end ones for later. This leak presses the same point. 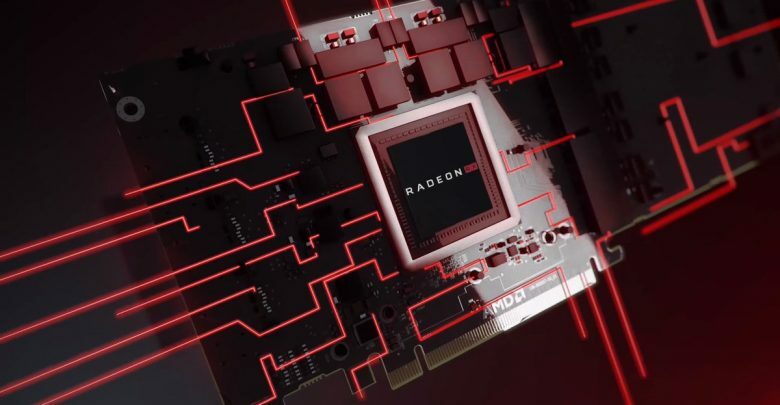 A little speculation tells us that AMD will be covering $150-$350 price segment in the GPU market this year and the higher $500 and $700 true RTX competitors, if any, will not be seen anytime before 2020. The exception, Radeon VII, was more of an industrial showpiece rather than an actual ‘gaming’ graphics card. Moreover, it was produced in limited quantities and there were no non-reference designs. That said, take everything with huge scepticism as to verify the truth, we can do nothing but wait. Expect an official announcement from AMD at E3 2019, which is scheduled for 2 months from now. A hard launch is rumoured for 7th July (7/7), AMD loves playing the 7nm card.